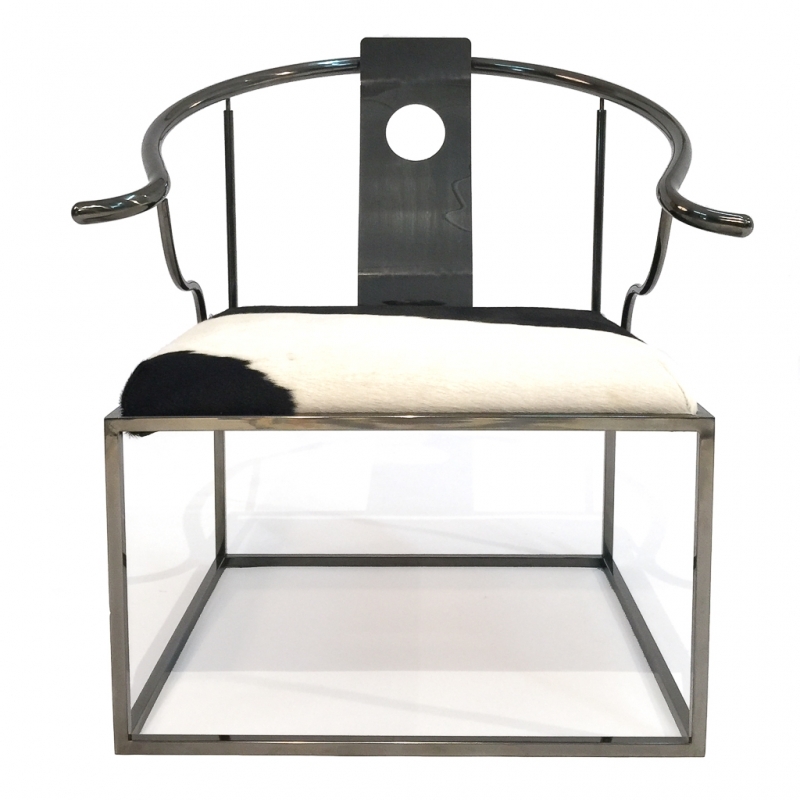 MU-MU lounge chair, as shown, black and white 100% natural cowhide with a gun metal finish stainless steel frame. The product is available in other colours. DIMENSION: W: 680 x D: 680 x H: 790 mm WEIGHT: 22 kg ASSEMBLY INSTRUCTIONS: No assembly required Remarks: Our cowhides are a natural product/ by-product of the food industry from cattle. As no two natural cowhides are the same, the piece you receive will look slightly different from the photo.